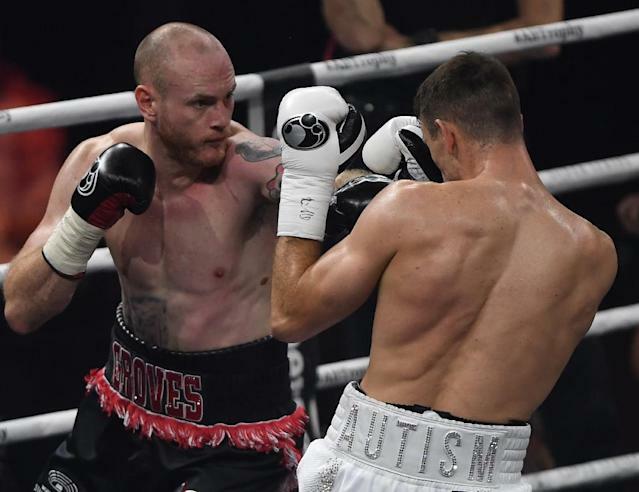 London (AFP) - Former WBA world super-middleweight champion George Groves has announced his retirement from boxing four months after losing his WBA belt to fellow Briton Callum Smith. Groves, who became world champion at the fourth attempt when he beat Russia's Fedor Chudinov in Sheffield in 2017, said he wanted to go out at the top. "I don't want there to be a time where I'm 'too old' to box on, or where an injury retires me in or out of the ring," he said in a statement on his Instagram account. In his fight prior to the Chudinov bout Groves, 30, beat Eduard Gutknecht -- the German suffered a serious brain injury that left him in a coma and unable to fight again. Groves offered a "prayer" for Gutknecht. "He was put into an induced coma for three weeks and bravely fought his way back to consciousness. He lives in Germany with his wife, three children and a full-time carer," said Groves. "This fight brought home the realisation that boxing can have brutal consequences. After this, I truly felt like my fighting days were numbered. After winning the WBA world title I decided to only continue fighting while it felt necessary. "After the birth of my second son last year and losing in the final of WBSS (World Boxing Super Series), I knew the desire to fight had left me."